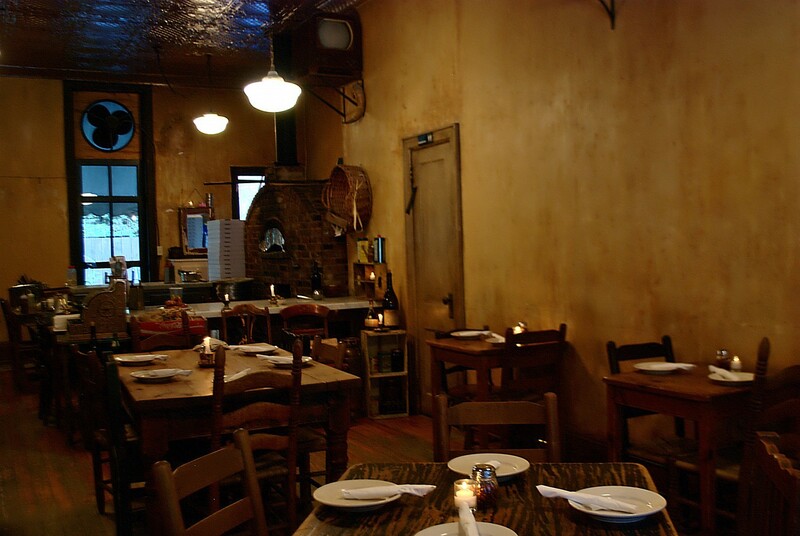 Whether or not you are a fan of Lucali seems to come down to two things - how long you had to wait for your table, and how you were treated in the process. The few people that have told us this place is overrated complained not about the pizza, but had beef because the sarcastic Brooklyn girl up front wasn’t so nice to them. We get it - we have definitely been on the receiving end of some half-serious abuse from a Lucali waitress. As a matter of fact, I believe I was officially banned from the restaurant last time because I asked twice about the toppings. Honestly though, for us, that’s all part of the game. Yes, it can be annoying to deal with an unpredictable situation, but for pizza this good, we’re willing to deal with it. It’s all about knowing what to expect going in, and understanding that you might not end up with a table, no matter what they told you twenty minutes ago. Want to save yourself some disappointment? Don’t bring your fiancé’s parents here. Don’t come without a backup plan. Don’t bring a date that you’re trying to impress with your restaurant game. Don’t try to hit Lucali before you have to catch a flight, report for military service, or do anything else that you can’t be late for. But if you’re down to just grab a bottle of wine and show up at 6pm, you might be diving into some of the best pizza this city (and therefore Planet Earth) has to offer. Read below for what might be the shortest Food Rundown in Infatuation history - your options are pizza or calzone. Order both. Yes, it’s expensive for a pizza. $26 is a lot to spend on a pie. But it’s so f*cking good, we don’t care. There will be a list of available toppings for the night, and if they don’t mention it, you can’t have it. Not to worry... I’m not sure it matters what you put on top. The thin and crispy crust, incredible sauce, and bubbly cheese are so perfect, it could be sprinkled with asbestos and we would eat it. Made from the pizza dough folded over onto the toppings, this comes in three sizes. The small is absolutely massive and sort of resembles one of the monsters from that movie Tremors. For three people, we rocked a pizza and a small calzone and walked away feeling stuffed but euphoric.